1. 9 Gallon Enterprises Inc. the corporation operating Cask Days (“Cask Days”) has organized bus transportation service and ticket packages from Montreal, Ottawa, Kingston, Gravenhurst. Barrie, Niagara, Hamilton, Burlington, Blyth and Kitchener to and from Cask Days available only by advance purchase on caskdays.com. I acknowledge that all of the “Ticket Terms and Conditions” applicable to my Event ticket, found at caskdays.com/terms are incorporated here fully by reference. 2. Cask Days has contracted a transportation company, bus.com to offer bus transportation routes servicing the event. Bus.com will operate the routes using equipment and personnel from independent operators and carriers (“Carriers”). Transportation provided by bus.com and its Carriers is subject to the terms and conditions maintained by bus.com and its Carriers. Cask Days serves only as a sales agent for bus.com and its Carriers, and Cask Days assumes no and disclaims all responsibility or liability of any kind for their services. 3. Cask Days reserves the right to cancel the bus at least one month prior to the event if the bus is not 80% full. In the event of such cancellation, a full refund will provided for the cost of the ticket(s). 4. Ticket Holders are asked to arrive at least 20 minutes prior to the scheduled departure time. Anyone presenting themselves on-board without a ticket will not be permitted to travel and no refund will be issued. Advance ticket purchases are required. 5. Cask Days assumes no liability if an Ticket Holder misses their scheduled departure time and no attempts will be made to contact Ticket Holders not present at the time of boarding. No refund will be issued in the event of a missed departure. If the Ticket Holder finds alternative transportation to the festival, their Session ticket will be valid (if arrive within the time frame of that session) and they will have a seat on the return trip home. 6. 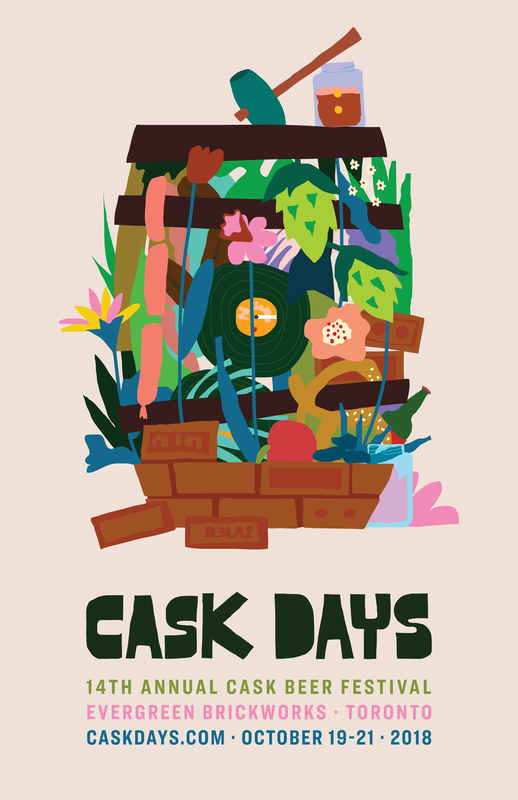 All scheduled bus service and purchased event tickets to Cask Days are non-refundable for any reason once the purchase has been made. 8. Cask Days will not be liable for delays caused by accidents, breakdowns, detours, highway conditions, extreme weather, traffic congestion, or any other conditions beyond our control, and cannot guarantee the specified time of arrival or departure. If conditions make it inadvisable to operate service from point of origin or at any point en route, Cask Days will not be liable or be caused to be held for damage for any reason whatsoever. Additional costs such as meals, lodging and transportation will in the respect become the responsibility of the Ticket Holder. No refunds will be issued. 9. Smoking and the consumption of alcohol or any other intoxicants on buses is illegal in Ontario and prohibited on all Cask Days Carriers. The consumption of alcohol or other intoxicants prior to travel is strongly discouraged. The driver reserves the right to stop the bus at any point, without reimbursement, should any Ticket Holder attempt to bring alcohol/is consuming alcohol on the bus. 10. Cask Days will not be liable for lost or stolen articles during or after the trip. Baggage and all other property will be handled only at the Ticket Holder’s own risk. 12. Any Ticket Holder who compromises the cleanliness of the Carrier will be subject to additional cleaning fees after the event. 13. Cask Days reserves the right to substitute/subcontract equipment at our discretion and without notice. 14. The Ticket Holder fully acknowledges and understands that by attending Cask Days and being a passenger on a bus may involve risk of serious injury, including permanent disability and death, property loss and economic losses. The ticket Ticket Holder, for herself/himself and all successors, assigns, heirs, estate and all other relevant persons, known or unknown, hereby acknowledges that his or her participation in Cask Days may, whether or not related to the consumption of alcohol by the Ticket Holder or other attendees at the event, expose her/him to a risk of property damage, bodily injury, personal injury and/or death. The Ticket Holder hereby releases, waives, discharges and covenants not to sue 9 Gallon Enterprises Inc. its affiliated and related corporations, agents and their respective present and future oﬃcers, directors, trustees, employees, contractors, agents, representatives and volunteers, and all other persons connected at any time with organizing or operating Cask Days, whether known or unknown (collectively, the “Sponsors”), from any and all claims, demands, actions, costs, expenses, damages or other liability, for any and all property damage, personal injuries, bodily injury, death and/or other claims or causes of action arising out of or in any way connected to Ticket Holder’s attendance at or other participation in or connected to Cask Days, including claims which are known or unknown, foreseeable or unforeseeable, or future or contingent, and regardless of the legal theory under which such any claim or alleged liability is asserted including whether in tort or contract. I ACKNOWLEDGE THAT I HAVE READ THESE TERMS AND CONDITIONS, WAIVER AND RELEASE OF LIABILITY AND I FULLY UNDERSTAND ITS TERMS, AND DO SO KNOWINGLY AND VOLUNTARILY WITHOUT ANY ENCOURAGEMENT OR COERCION.